A civil society group in Edo State, the Talakawa’s Parliament, has urged Governor Godwin Obaseki to prosecute contractors who abandoned their projects. Its president, Marxist Kola Edokpayi and Secretary, Wilson Imasuen, made the call in a statement yesterday in Benin City. The group, in an open letter to Obaseki urged him to “give investigative effect to the Audit Report on Edo State Oil Producing Area Development Commission (EDSOPADEC), as it relates to alleged shady activities. The statement accused the commission of underperformance, despite the huge resources made available to it. They also urged the governor to revisit the audit committee report, which probed its activities from 2011 to 2017, where it was discovered that it abandoned 44 projects in the state. The letter reads: “Sequel to the disbandment of the commission’s board in 2017, you empaneled an audit committee headed by S.I.O Osara to audit the activities of EDSOPADEC. The statement added that more than two months after the receipt of the audit report, the governor had neither recovered the funds from the contractors, nor prosecuted those found culpable in the abandonment. 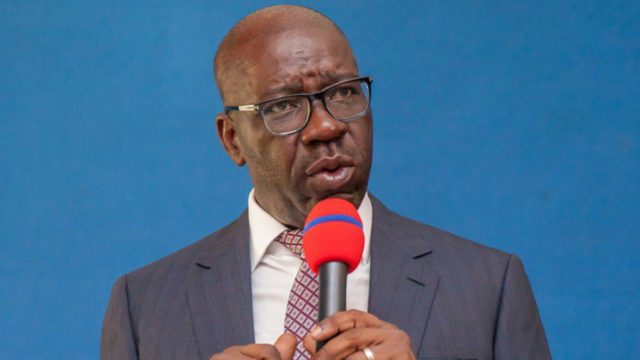 They flayed the situation at a time that Edo people have expressed worry over the spate of alleged looting of public funds by trustees of public agencies. The group said it was unprofitable for defaulters in the EDSOPADEC contract to be allowed to work freely in the society, while those who were billed to benefit are suffering. They called on the state government to march words with action by directing the Ministry of Justice to institute criminal charges against the defaulting contractors. Meanwhile, a stalwart of the All Progressives Congress (APC), Sylvanus Igbogbo, an aspirant from Edo Central Senatorial district, has accused politicians in the area of not doing enough to develop their constituencies. According to him, the people of the area have a core competence in farming, and lamented that representatives of the area have not done anything to advance the sector. “None of our representatives has brought mechanised farming and modern method of preservation of farm products to the people,” he said.